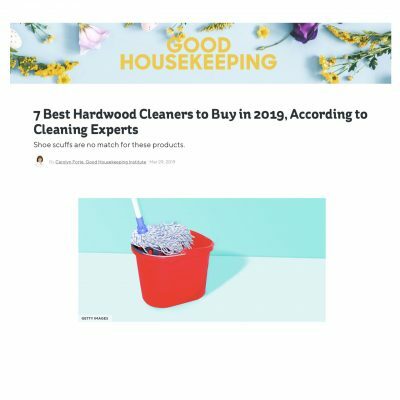 The Good Housekeeping Institute released a top 7 list of the best cleaning products to use for your wood floors. Among the best wood floor cleaners shortlisted by the Institute is the asthma & allergy friendly® CERTIFIED Bona Free & Simple Hardwood Floor Cleaner CERTIFIED. 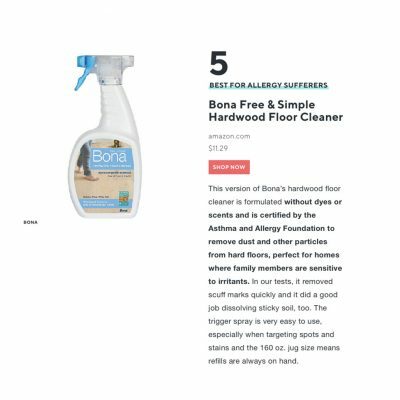 The Bona Free & Simple Hardwood Floor Cleaner is listed as the best option for allergy sufferers. The Certified asthma & allergy friendly® cleaning products have been tested against ASL scientific standards and are scientifically proven to help contain and reduce exposure to asthma and allergy triggers.